If you are you thinking of hiring a marquee for your garden some of the following may be of interest. Your garden is not too small ! We can supply you a marquee that will somehow magically make your ‘small garden’ somehow seem much larger.. This is something we experience a lot. Your garden is probably much larger than many of the rooms in your home. Once the marquee is set up; your ‘garden’ will feel like a much larger space. Is your garden on multiple levels ? Maybe it has a slope in it, or a shed in the middle or to the side. This is not a problem. Because BSW manufacture all our own marquees we have a lot of stock and a lot of options. Some of the most impressive marquees we have constructed have been the result of a challenging garden..
Do you have trees or shrubs where a marquee could go ? Again, not a problem. We can accommodate any type of plant and most trees. In fact you could make a feature of your trees. Often customers will decorate the trees with fairy lights. This always looks great. How do I get electricity and lighting inside the marquee ? BSW Marquee will run electricity, lighting and heating to your marquee. BSW Marquee can supply heating and lighting options; or you can provide your own. We will always help and advise you. 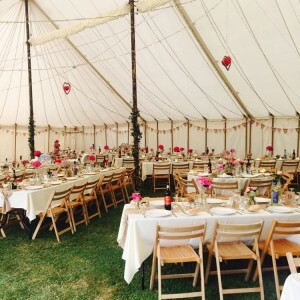 Having a marquee in your own home for a wedding or party is the perfect way to impress your guests and ensure your event is never forgotten. 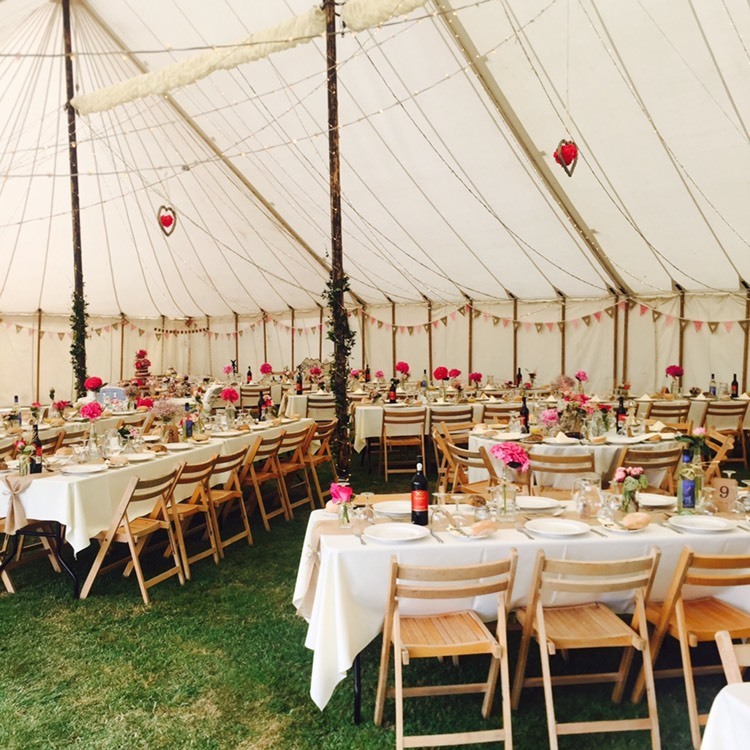 At BSW Marquees we will often construct the marquee days before your actual event and take it down days after – if this is convenient to you. If it is then you have plenty of time to personalise, decorate and enjoy the marquee before your big day or night. Contact me now for more information and approximate prices.